Hong Kong, October 2016 – SuperCharger FinTech Accelerator is proud to announce the renewal of its partnership with Hong Kong Exchange and Clearing (“HKEX”), aimed at advancing FinTech innovation in Hong Kong. For a second consecutive year, HKEX has established its supporting organization status behind Hong Kong’s leading FinTech Accelerator for its 2.0 cohort. The partnership will provide SuperCharger finalists with dedicated mentors from the HKEX team, as well as an outstanding location for the Accelerator’s April 2017 Demo Day, namely the Exchange Auditorium and Exchange Exhibition Hall situated right next to HKEX’s iconic trading floor. 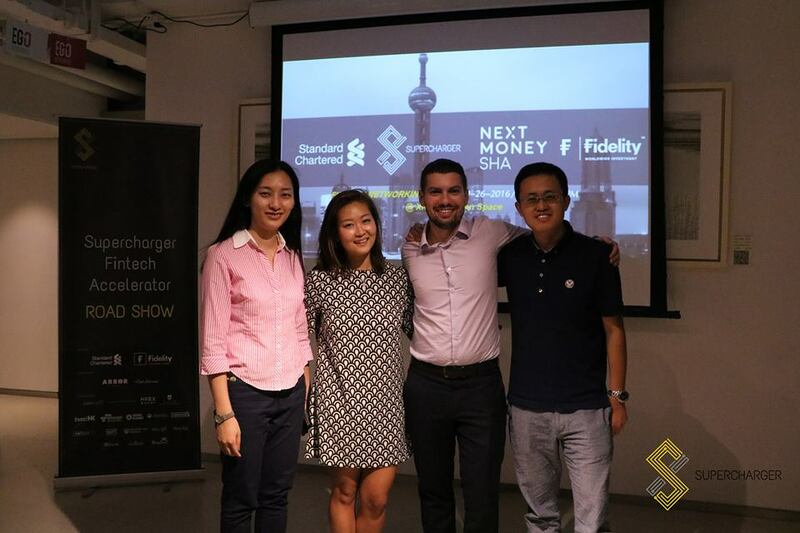 The first round of SuperCharger FinTech Accelerator was launched in January 2016 with success stories featuring a US$71 million capital investment that a late-stage Accelerator participant MicroCred secured for its expansion in China and the development of their Internet finance strategy. In addition, other alumni reached key milestones such as: Funding Societies’ raise of US$7.5 million from Sequoia Capital to build a P2P lending platform; the partnership between Amareos and Thomson Reuters to combine financial services and AI analytics technology to inform clients’ investment decisions; and the partnership formed between MicroCred and Gatecoin, an early-stage start-up, allowing Gatecoin to scale up beyond Asia into Africa. In addition to its partnership with HKEX, SuperCharger 2.0 is also supported by Main Partners Standard Chartered Bank and Fidelity International; Cyberport as the venue partner providing the FinTech companies the newly opened Cyberport Smart FinTech Centre as their co-working space; as well as Arbor Ventures and East Ventures who are SuperCharger’s investment partners. Other supporting organizations include international law firm Baker & McKenzie, InvestHK, General Assembly, AWS, FinnovAsia, e27 and Crowdfund Insider, among others. Applications for SuperCharger FinTech Accelerator 2.0 are open until 20 October 2016. FinTech companies (both start-ups and scale-ups) may apply online via http://www.fintechsupercharger.com/. Throughout September and October 2016, roadshows will be conducted in a number of key cities in Asia including Hong Kong, Singapore, Shanghai, Ho Chi Minh City, Jakarta, Bangalore and Kuala Lumpur. The programme will commence on 9 January 2017, and conclude on 11 April 2017, with a Demo Day held at HKEX in Hong Kong. Leveraging on Hong Kong’s traditional strength as Asia’s finance and technology gateway, SuperCharger s a 12-week FinTech Accelerator Programme backed by Standard Chartered Bank, Fidelity International, HKEx, and Cyberport, among others. In its first batch, SuperCharger 1.0 received over 160 applications from more than 25 countries globally and selected 8 FinTech start-ups and scale-ups. The selected companies had raised US$ 200,000-US$150 million and ranged from early-stage to late-stage growth FinTech companies. Throughout the programme, SuperCharger’s 2000 sq. ft. co-working office was enriched by more than 150 individuals, including VCs, mentors, government officials, journalists, and the next generation of young entrepreneurs. SuperCharger’s cohorts and alumni are shaping the future of finance in Hong Kong and beyond. If you have any questions or comments, you can reach us at hello@fintechsupercharger.com.